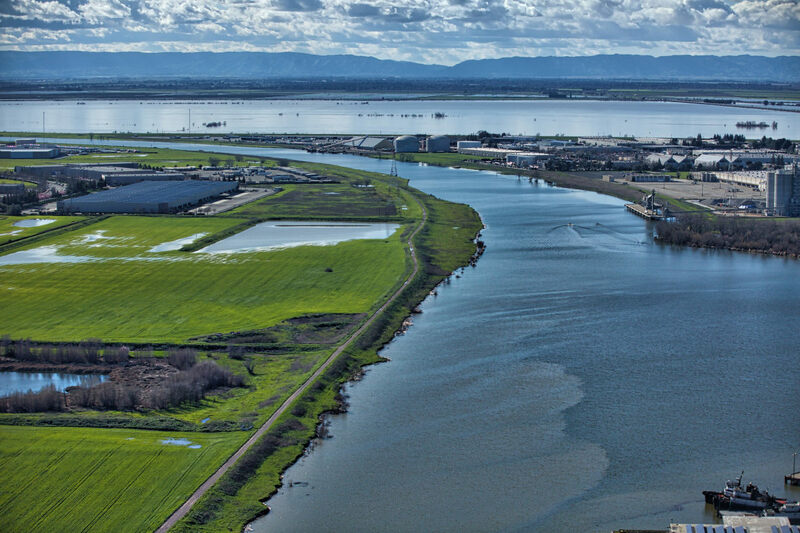 A view of the Sacramento–San Joaquin Delta from Sacramento. On Tuesday, President Donald Trump fanned the flames of a long-standing debate in California between the state&apos;s environmentalists and farmers. 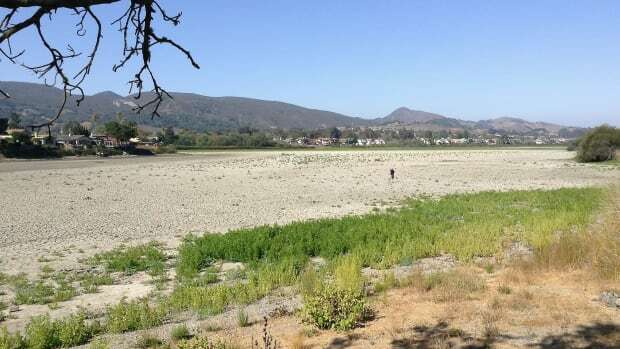 At the White House State Leadership Conference, Trump called California&apos;s dry and fallow fields "one of the most ridiculous things" he saw on the campaign trail in 2016, when the state was still in the midst of a record-setting drought. At a campaign rally in Fresno that year, Trump claimed the government was "taking the water and shoving it out to sea," and promised to deliver more water to Central Valley farmers. Last week, he made progress on that campaign promise, signing a presidential memorandum to speed up environmental reviews of water infrastructure projects in the West, to help California&apos;s state and federally managed water storage systems increase the amount of water diverted to agriculture. On Tuesday, Trump claimed the memorandum would be critical for California, which he said has "so much water they don&apos;t know what to do with it," and that it "naturally flows" to farms, but the government "sends it out to the Pacific Ocean." Does California Really Have Plenty of Water? Not really. 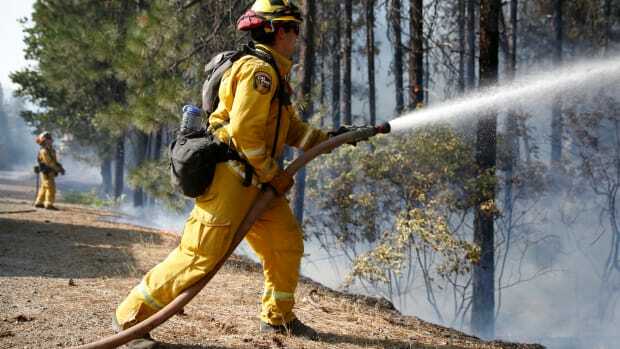 California&apos;s climate oscillates between a wet winter season and a hot, dry season. Almost all of the state&apos;s precipitation falls between October and April, building up the snowpack in the Sierra Nevada mountains. 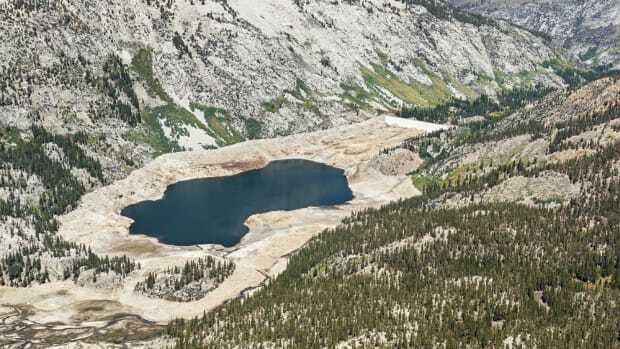 Then, in the spring and summer months, the snowpack melts and water runs down the mountains, providing the state with about two-thirds of its fresh water. In warm or dry years, the snowpack shrinks, and the state has less water. For six of the last seven years, the Sierra snowpack has been below the historical average, and, according to the United States drought portal, 63 percent of Californians are still living in drought conditions, which is to say that California definitely doesn&apos;t have more water than it knows what to do with. Does the Water Naturally Flow to California&apos;s Farms? Not exactly. In California, rain and snow typically fall up north, but most of the farming takes place further south. A network of rivers, tributaries, and streams funnels the water from the Sierras to the Sacramento–San Joaquin Delta. 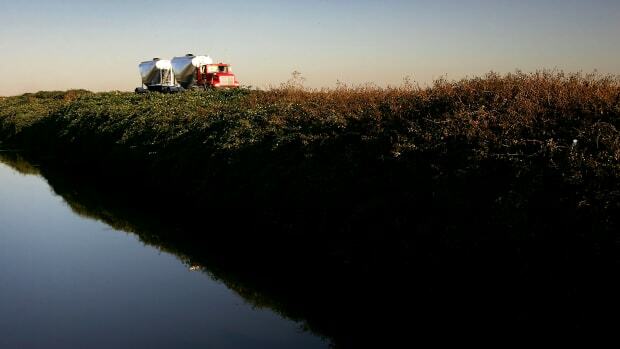 To get water from the wet northern reaches of the state to the dry southern Central Valley, two massive projects pump water from the Delta through a complex plumbing system to both farms and urban centers. The Central Valley Project is managed by the federal government, and diverts about 70 percent of its water to farms. The State Water Project, managed by California, delivers most of its water to urban areas. Without this infrastructure, California&apos;s Central Valley would look more like a desert than an agricultural hub. Is the Government Wasting Water by Funneling It Into the Pacific? No. 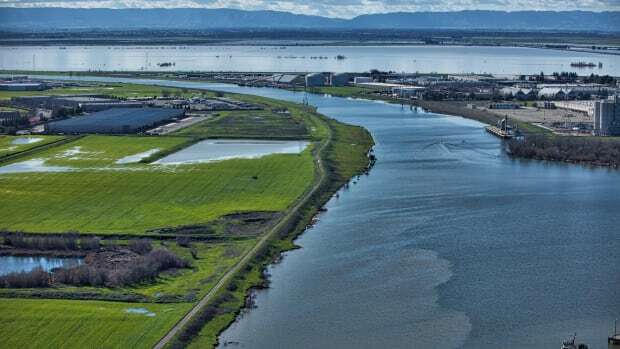 Diverting water from the Sacramento–San Joaquin Delta has disrupted the Delta&apos;s natural ecosystem. The population of California&apos;s Delta smelt, a tiny, three-inch-long fish that is often drawn into the water projects&apos; massive pumps, has plummeted in the last few decades, for example. The state water board has proposed allowing more water to flow through the Delta in order to preserve habitat for the smelt and the Chinook salmon, which has lost about 85 percent of its spawning habitat to the dams and other water infrastructure in the state. But according to the Public Policy Institute of California, flushing water out into the Pacific via the Delta&apos;s natural waterways benefits both urban residents and farmers: When water levels drop due to drought or dwindling precipitation, the fresh water in the Delta can become contaminated by salt water intrusion. 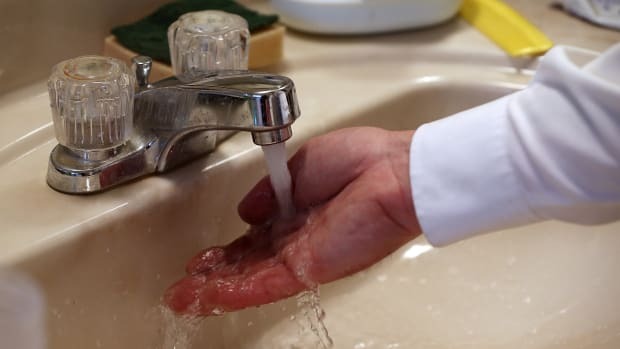 Officials often release water from reservoirs to flush out the salt water.